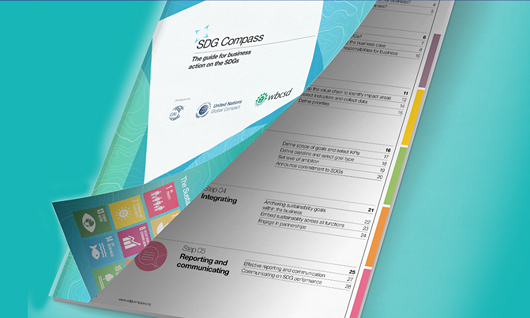 To help companies best communicate their contribution, GRI, the UN Global Compact and WBCSD launched the SDG Compass back in 2015, and a wide range of new indicators have now been added. This tool shows companies how they can align their strategies, measure and manage their contribution to reaching the SDGs, and put sustainability at the heart of their business strategy. It also helps companies see which GRI Standards can be used to show a company’s work on the SDGs. You can now view the GRI Standards mapped against the SDGs, as well as the new indicators identified in Business Reporting on the SDGs: An Analysis of the Goals and Targets published by GRI and UN Global Compact, including the GRI standards, UN Global Compact-Oxfam Poverty Footprint, CDP 2017 Climate Change, and others. On the website you can filter by SDG Goals, by SDG Targets, by business themes like air pollution, equal opportunity or economic performance, and by source of indicator. If there are tools that you do not yet see included, you can submit them before 31 March, to be included in the Compass. Currently, only impact assessment tools are available, but other types will be available in the future. As part of GRI work on the SDGs , GRI and the UN Global Compact will release A Practical Guide to Defining Priorities and Reporting as part of the Action Platform Business Reporting on the SDGs in July 2018. The Practical Guide will provide a structured approach to help businesses prioritize and report on relevant SDG targets in order to drive action. Stay tuned for more information. You can register for updates from GRI straigt to your inbox. Click here to stay informed.